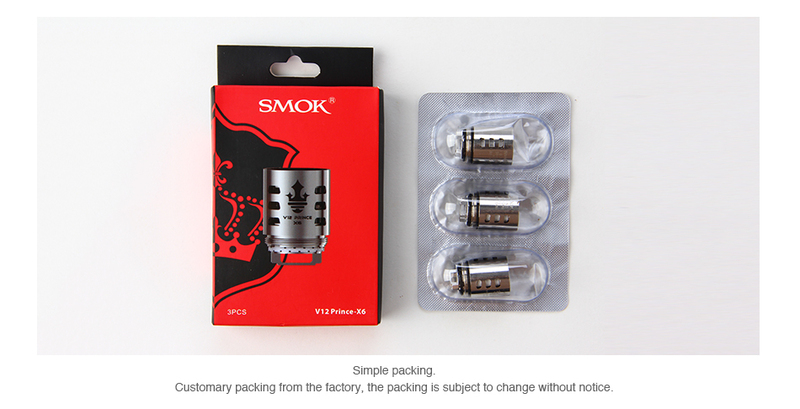 Here comes SMOK TFV12 PRINCE Replacement Coils – Q4, X6, T10 and T10 With Red Light and M4 cores. 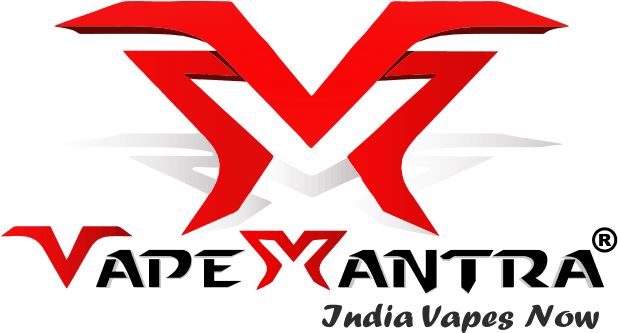 Just get them for your TFV12 PRINCE tank to enjoy intense clouds and accurate flavor. 3pcs each pack. 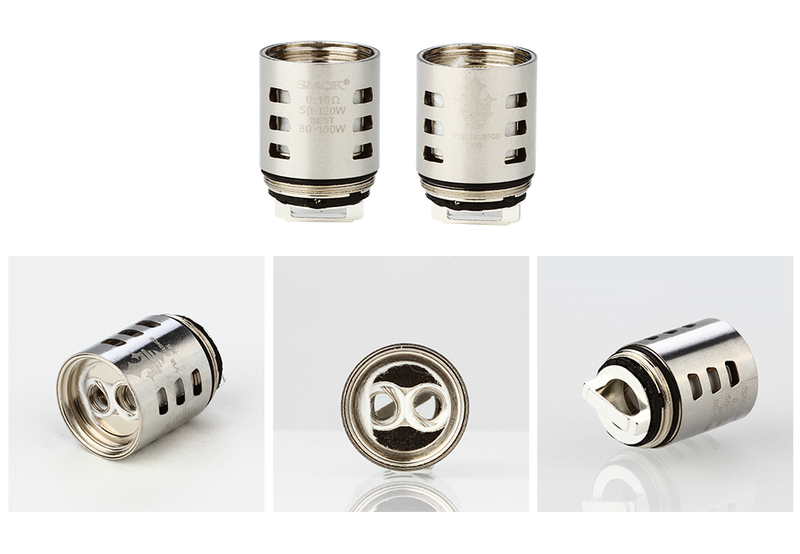 The brand new SMOK Replacement Coils are designed for TFV12 PRINCE Tank with intense clouds and accurate flavor. There are V12 Prince-Q4 0.4ohm, V12 Prince-X6 0.15ohm, V12 Prince-T10 0.12ohm and V12 Prince-M4 0.17ohm and T10 with Red Light. 3pcs each pack. Just get them for your TFV12 PRINCE to enjoy happy vaping! 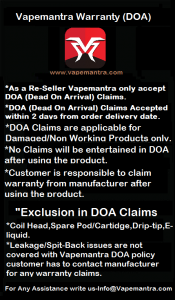 TPD Version and Standard Version are available. 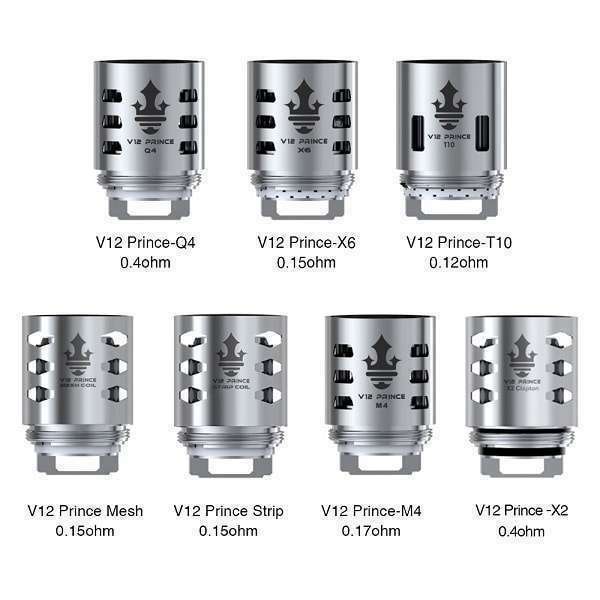 It is for TFV12 PRINCE Tank.